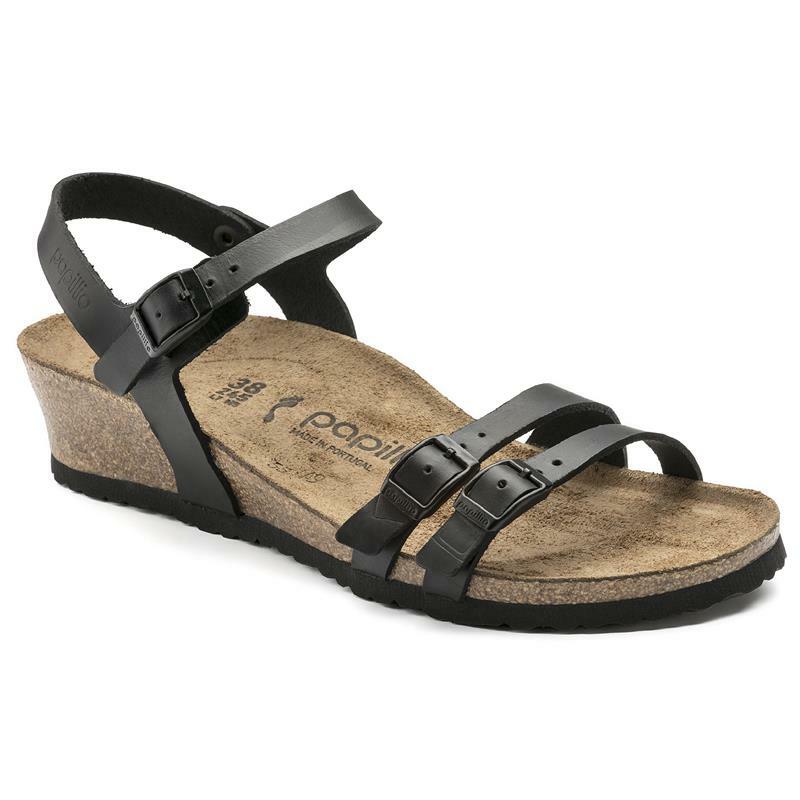 The Lana Platform Sandal from Papillioˊ by Birkenstock offer the perfect amount of lift and comfort. Natural leather Upper: Natural leather can be recognized by its untreated surface. 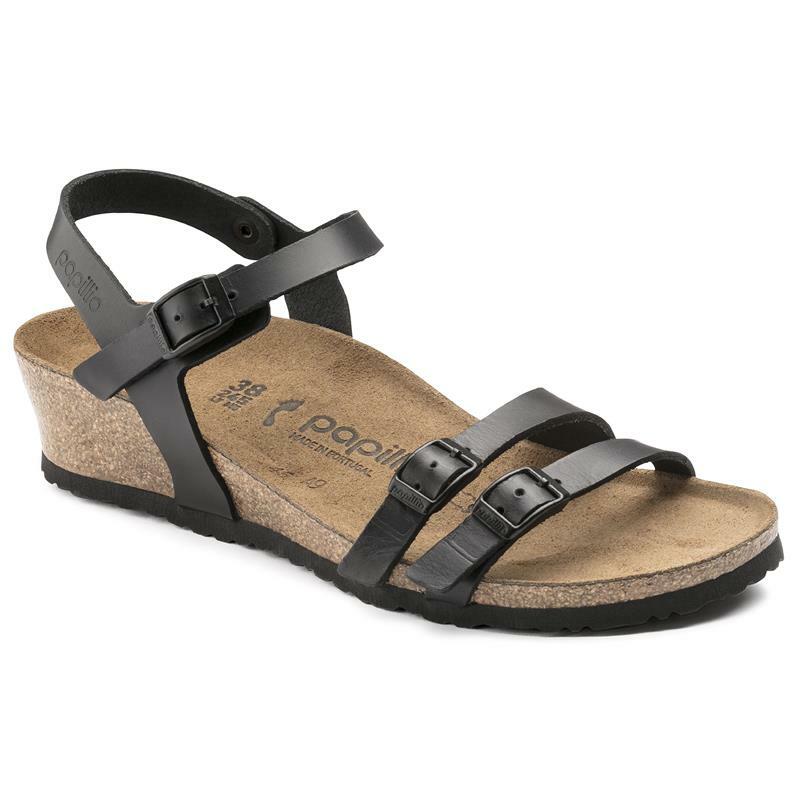 BIRKENSTOCK purposely does not treat surface grains and other characteristic features. 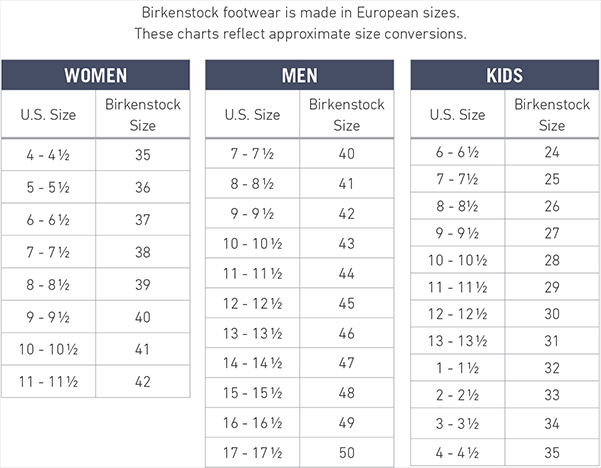 BIRKENSTOCK uses sturdy leather with a thickness of 2.8 to 3.2 millimeters as upper material. Suede Insole: The flexible leather lining, which is gentle on the skin, nestles up softly against your foot and adjusts to its contour. The open-pored and thus very breathable surface makes for a comfortable foot climate, even during more strenuous physical activity. Cork Footbed: Cork is a sustainable material extracted from the bark layer of the cork oak. This natural product is insulating and offers very good cushioning. EVA Outstole: EVA (ethylene vinyl acetate) is a high-quality, very light, elastic material with extremely good cushioning. As a result, it smooths out slight irregularities in the floor and ensures that every step is softly cushioned.